UPDATE: Audio now available Housing Debate audio Right click and Save As to download file. I won’t be transcribing this debate. The panel for this evening’s debate is made up of the following. For their details click the photos. As a means of justifying the Cressingham regeneration, Lambeth council continually repeats its housing crisis mantra that there are over 20,000 people waiting for council homes in Lambeth, and 1,600 in temporary accommodation. In what way does building market price housing, raising tenant rents and bills, and evicting up to 100 homeowners from their currently affordable homes, positively deal with the borough’s housing crisis? Does regeneration not just amount to state-led gentrification? There are a lot of vulnerable people living on Lambeth’s estates. How should the potential impact of regeneration on wellbeing be measured and should the findings of any assessment determine whether or not a scheme is given the green light? 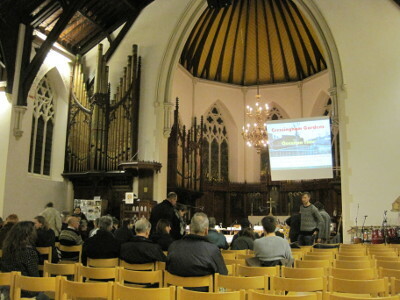 Residents of Conservative-controlled Westminster were recently given the opportunity to vote on whether or not the council’s proposed regeneration projects should go ahead. Do the panel think that this is the right approach? Disturbing accounts abound of council members using questionable tactics to influence opinions and property values, in a bid to further regeneration objectives. Should there be tighter controls on council conduct? Ward councillors have openly criticised leaseholders on Cressingham for what the councillors claim is slowing down the regeneration process. Given the cooperative aims of Lambeth council, what advice would you give to residents of other regeneration estates who wish to question the council’s arguments and evidence, or lack thereof? Is there any reason to believe that the views of residents and tenants are genuinely being taken into account, or is the council using smoke and mirrors to distract us? In their treatment of 40-year-old housing co-op communities that saved housing stock from demolition and were populated by a significant number of OAPs and vulnerable people, Lambeth adopted a policy of eviction and displacement denying democratic recourses and scrutiny of money trails, exacerbating health problems and ignoring expert-led social housing solutions – all despite crystal clear promises from local Labour councillors to act otherwise. Why would any Lambeth resident trust the council to do what is best for their community? Sadiq Khan, Shadow minister for London and MP for Tooting, says that in the New Era situation ‘Ordinary Londoners are suffering, with their homes ripped from them and their lives and families pulled apart so that investors can make a quick buck’. How does the Cressingham situation differ from the New Era one? Does the panel think that Lambeth council should be using its powers to compulsory purchase empty properties and expand council stock. 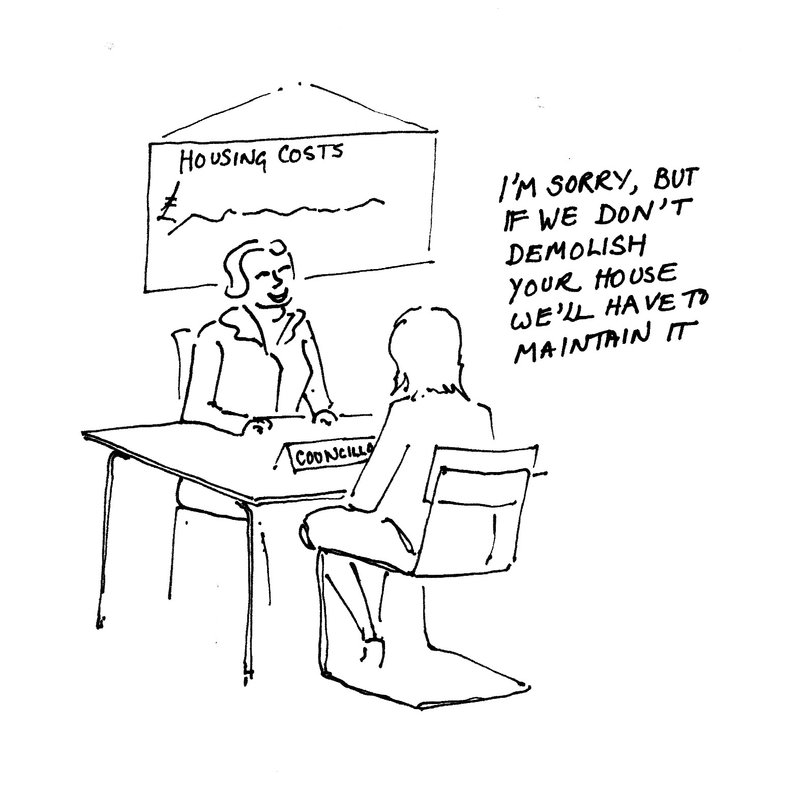 If the financial viability analysis currently being carried out by Cressingham’s regeneration project team shows refurbishment is affordable, and that this is the best way of keeping people in their homes and a community together, should Lambeth Council pull out of demolition proposals? There are six void flats on Cressingham which have been empty for more than 16 years, despite being fully fixable. If the council were serious about addressing the housing shortage, why hasn’t it invested in these properties and given at least six council tenants a place to live? Lambeth has neglected Cressingham, so how is it that they will be charging me for repairs to damage they are responsible for causing? Good design doesn’t date. Have you considered the disservice you will be doing to the residents of Lambeth if in the course of demolishing some or all of the low rise estates in Lambeth you rob the residents of the borough of the models of good housing design that presently exist, given that their replacements are likely to be inferior single aspect flats? Dave Hill (Chair) winding up. Meeting over. Paul Watt closing remarks -> looking at schemes across London, always presented as win win. Then as the schemes go forward then what seems to happen is the losers, it becomes clear who the losers are and never the prop’ developers. Always the residents lose out, never get their . . . PFI other schemes always promised as the answer that would solve the problems. We have to question the claims made about these large scale schemes. Marcia talking about the split again (tenants vs leaseholders), denied by shouts from audience. Marcia is least favourite panellist here tonight. Trowel still out. Good design doesn’t date. Have you considered the disservice you will be doing to the residents of Lambeth if in the course of demolishing some or all of the low rise estates in Lambeth you rob the residents of the borough of the models of good housing design that presenntly exist, given that their replacements are likely to be inferior single aspect flats? JB gave the best answer about respecting the original design. Sorry I drifted a bit but Gerlinde is speaking now about council rents using figures provided from FOI requests and challenging the numbers which are excessive for what it would actually cost to refurbish the estate. CG residents have had an independent expert to check the figures and they have found that Option 1 is the most financially sensible and Option 4 would generate debt. Not replacing the 4 bed homes so only sixteen council tenant bedrooms only. We are now two hours in, where has the time gone? This going to run until 10pm I suspect. Dave Hill making important point about managed neglect leading to regen’. Putting forward possible ulterior motive of councillors in allowing estates to decay. Matthew Bennett responding predictably about how he’s never met any cllr who doesn’t care deeply about condition of council estates. MB responding to Marcia and questioner from audience. MB says they’re hasn’t been the money. Questioner from floor complaining that residents being charged for council neglect. Melika asks why the six voids haven’t been put back into use in 16 years. Marcia Cameron reply to this. When she asked why she was told they didn’t have enough money to do them up. JB made a wonderful point about the council spending only 25% of rent receipts and 75% on administration. If they’ve spent more on repairs we wouldn’t be in this situation. Michael Edwards saying that if council finds residents prefer refurbishment and cannot afford it then perhaps the repairs should be phased over a longer period. Matthew Bennett talking about council finances and how to engender confidence in the residents about council finances as best they can. Chris B. speaking about the options now. In order to meet MB’s pledge they are all likely to cost council money. People need to have confidence in the numbers and understand why one option is better than another. Chair asks Paul Watt to comment on repairs and decent homes. “I’m confused as to why CG is in such a poor state of repair!” If I was a CG tenant I’d be asking why aren’t the repairs being done? Marcia has her shovel out again, “fighting for repairs to be done” “at the top of my priority” “finance doesn’t come into it when there are people suffering”. Matthew Bennett talking about costings of options w.r.t. surveys. Weighing up all the different options decision next February. Councils are acting as agents of financial markets (audience member speaking). MB made a comment about SPV being used to raise money but Chris Brown saying there are other ways for councils to raise money. JB summary important to keep the land under council control at CG. JB talking about SPV (special purpose vehicle) will the land at CG remain in public control? Danger of land going to private developers and being lost from public ownership. Chair to Jonathan Bartley. Would the Greens engage with private developers? JB mentions CLTs (community land trusts), LVT (land value tax) he also mentions New Era, you have to keep the land in community control in order to maintain affordability. Can it ever be right for councils to engage with private developers to regenerate housing? (Chair to Michael Edwards). Marcia digging herself a deeper hole. Only needs a bigger shovel. Quoting roofs, poor quality dwellings, [getting shouted down inevitably] no decision has been made, we set up a group of tenants and leaseholders. Emotional resident having a right go at Marcia about why she won’t support the residents and about old people on CG “you are killing people on the estate”. MB talking about Somerleyton Road, 40% will be council rents. and other figures (await podcast). This is necessarily only snapshots from meeting, full audio podcast tomorrow linked from blog (excluding technical failures). JB to MB They’re asking for Option 1 will you give it to them? MB prevaricating. Won’t answer the question. Chair asks JB how the Greens would approach regeneration. Quoting Lib Peck on her comment about not doing anything that does not meet with agreement of residents. Greens will only act with residents support and confidence. Michael Edwards talking about Stepney situation where residents involved in discussions about regeneration in order to avoid problems experienced elsewhere. Lambeth Housing Coops in discussion now, Matthew Bennett saying they were never social rented properies, that the residents were rehoused from top of housing list, and the council needed the money from sale for other housing. 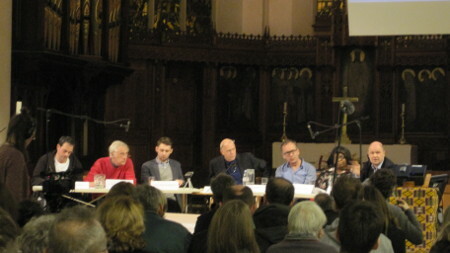 Left to right Jonathan Bartley, Michael Edwards, Matthew Bennett, Dave Hill (Chair)., Chris Brown, Marcia Cameron, Paul Watt. Anne asks if smoke and mirrors are being used to distract tenants or whether their views really being taken into account. Jo Parkes asked one but didn’t catch that. Gerlinde criticising council conduct w.r.t. to regeneration. Pam Douglas asks why the council won’t give residents a vote on whether regeneration should talk place at all. Jonathan B. talking about the voids and how they’ve been left for 16 years (round of applause). Marcia Cameron asking for trouble from the audience by arguing in favour of tenants who complained about damaged roofs and lack of repairs. Very foolish comment from her resulting in uproar from audience who shouted “repair them then!”. Paul Watts talking about New Era (Westbrook), quoting Mayor of New York who had dealings with Westbrook too. M.E. is talking about the energy costs of regen’ vs. refurb which is normally better and more efficient. Study just complete at UCL who have calculated this in engineering terms. Michael Edwards is talking about the failure to monitor people’s lives when estates (Heygate) are “regenerated”. Stats only obtained by FOI requests. Chris Brown (Igloo) is speaking now about regeneration in South Kilburn and how the doctors surgery noticed that residents were using the surgery after the move in place of their broken social circles, i.e. their social networks were broken up. Right to buy has come up, audience member asking why RTB money can’t be used to help other people, but MB answering saying the Government kept the money and has increased the discount. They keep vast majority of money from RTB. Matthew Bennett saying they are building council homes, most for a generation he says. Back to Judith who asked the question. “Duplicitous answers she says”. Marcia Cameron admits she was one of the initiators of the regen’ plans! So she’d been to see some of the residents with roofs blown off. She had access to some regen’ money and asked residents to come forward and tell here what they wanted to happen. First indication of tenants / leaseholder differences. MC continuing to speak about speeding up the process. Paul Watts describing why process of regeneration leads to net loss of social housing, change of developers, viability assessments. Most schemes wind up with less social housing at the end of the day than at the beginning. Paul Watts not aware of any London scheme that has actually increased the number of social rented houses in London. I have a recorder on the desk so will hopefully upload podcast tomorrow. These are and can only be very quick notes. Moving too fast to follow verbatim. Push F5 to refresh your page if necessary, the page will not always self update. Jonathan is speaking now and disagreeing with MB. Drop of 5,500 homes. 4,500 have disappeared through stock transfer or demolition. i.e. Lambeth are reducing number of council homes in the borough. “If and when a decision is made next year, any redevelopment on CG would involve an increase in number of homes on CG”. First question from Judith about the housing crisis. Will try to update with actual words when I receive a questions list. Dave Hill has opened proceedings and the panel are introducing themselves. In the church and good to go. Dave Hill has arrived and is relaxing prior to his chairmanship, various people are setting up the P.A. Audience sparse at present but there are still twenty minutes until the official start time which may drift to 7.30pm is my impression. UPDATE: Audio now available Housing Debate audio Right click and Save As to download file.